The 2019 INFINITI Q70 is a luxurious sedan that retains many features and capabilities from the previous year. Under the hood, this mid-size car offers two naturally aspirated gas engines and the Intelligent All-Wheel Drive. The 2019 and 2018 Q70 models boast more than 10 accident-mitigation features, such as automatic braking for forward and reverse motion. The InTouch multimedia platform is also installed in both sedans. Capable of delivering up to 330 horsepower, a 3.7 L V6 engine is available in the 2019 and 2018 INFINITI Q70. This naturally aspirated powertrain has a peak torque output of 270 pound-feet. An upgrade to the 5.6 L V8 engine lets you enjoy up to 420 hp and 417 lb-ft of torque. Both engines utilize the Variable Valve Event and Lift mechanism to achieve optimum efficiency during combustion. Microfinished camshafts are integrated into the aluminum engine blocks and heads. The 2019 and 2018 INFINITI Q70 have the Intelligent All-Wheel Drive (AWD) that guarantees class-leading handling on paved roads. An electronically controlled automatic transmission sends torque to the AWD. In addition to having seven speeds in the gearbox, the transmission delivers cutting-edge features, like the Adaptive Shift Control. The Manual Shift Mode simulates the capabilities of a transmission with a clutch. Several additional settings for the transmission are available in the INFINITI Drive Mode Selector. Designed by INFINITI, the InTouch platform is set up in the 2019 and 2018 Q70. You’ll get superb guidance from the GPS navigation system with colorful maps that are displayed in multiple dimensions. With the Lane Guidance feature, you won’t miss an exit on the highway. SiriusXM Travel Link and Traffic updates are also presented on the navigation system. Both INFINITI sedans have an advanced audio system with the Bose Surround Sound label. The 16 speakers are strategically installed to optimize acoustics from your favorite sources, like SiriusXM Satellite Radio and HD Radio. In the 2019 Q70 model, some of the speakers are installed in the headrests of the front seats. The signature InTouch portal has plenty of other virtual concierge services that make your drive more enjoyable. The 2019 and 2018 INFINITI Q70 have driving aides that provide intervention of multiple mechanical controls and electronic outputs. For example, the Predictive Forward Collision Warning might trigger the Forward Emergency Braking to come on. Similarly, the Blind Spot Warning sends commands to the Blind Spot Intervention System. Backing up in the Q70 has never been easier thanks to the Backup Collision Intervention. The Around View Monitor conducts a comprehensive scan of the surroundings in real time. Both INFINITI sedans have the Lane Departure Prevention, which usually comes on after the Lane Departure Warning. The Distance Control Assist and Intelligent Cruise Control also reduce the chance of a forward crash. 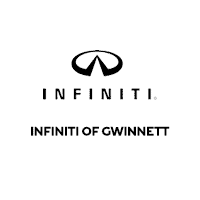 Take a trip to INFINITI of Gwinnett and compare the 2019 INFINITI Q70 with the 2018 Q70. These lavish sedans are available in the 3.7 Luxe and 5.6 Luxe editions.